When you see a beautiful pond, what do you see? I generally see rocks, boulders, and stones on the edge of the pond, sometimes the gold or white fin of a koi breaking the water, as my eyes move up I see the water cascading over large boulders or outcroppings to form the waterfall. But I've left out one of the most important, and sometimes the most striking features included in a pond or water feature...the plants! 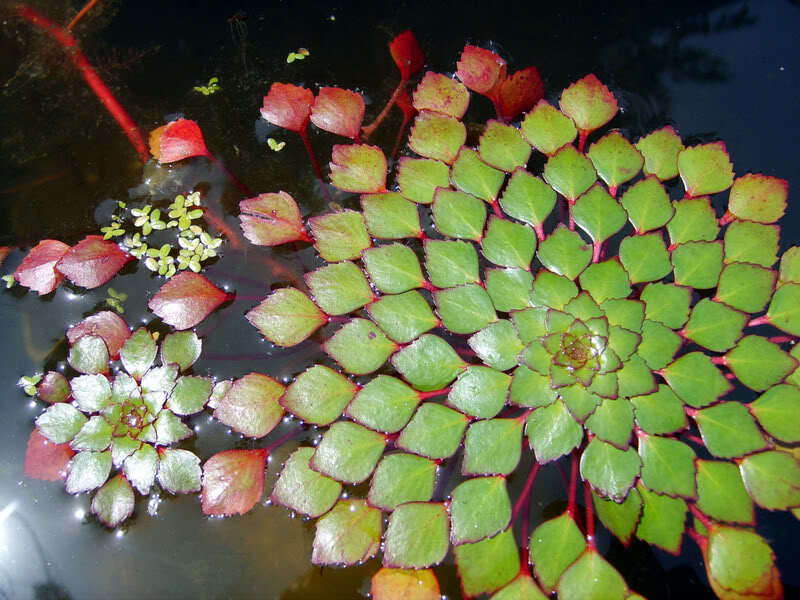 The plants not only add beauty and color, but they have a very important role in the ecology of a pond. 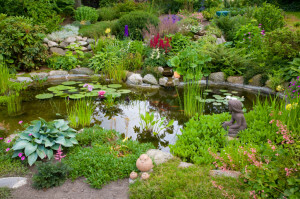 Plants added to the pond compete directly with algae for nutrients and sunlight, thereby naturally reducing algae in different areas of your pond. Pond plants fall into four basic groups; submersed, floating, deep water, and bog or marginals. 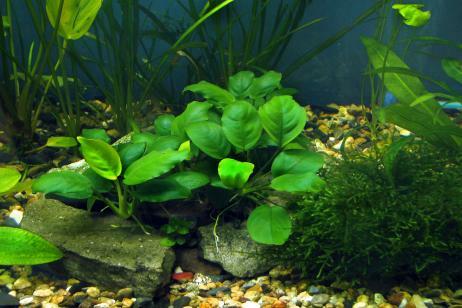 These plants grow completely submerged and have the most important role in competing with algae for nutrients. They also provide cover and protection for spawning fish. The submersed plants are very good at oxygenating the water, if you observe closely you may even see bubbles coming from the leaves of these plants! As the name suggests, these plants float on the surface of the pond. They provide shade and cover for the pond and are important in the natural balance of the pond's ecosystem. Since floating plants provide shade, they help to keep the pond cool in the summer, which also helps to keep algae away. Some popular examples are water hyacinth and water lettuce, some lesser known examples include water snowball, orange snowflake, and mosaic plants. Deep water plants include water lilies and lotus. Water lilies are available in hardy and tropical varieties. Tropical varieties tend to be very fragrant and some also bloom at night. The lotus is taller than the water lily, with leaves growing both on the surface and as the plant grows, reaching one to two feet across. An individual lotus can live for over a thousand years, a lotus also has the rare ability revive itself after all activity in the plant has stopped (I would need to be revived if I had lived over a thousand years too!). 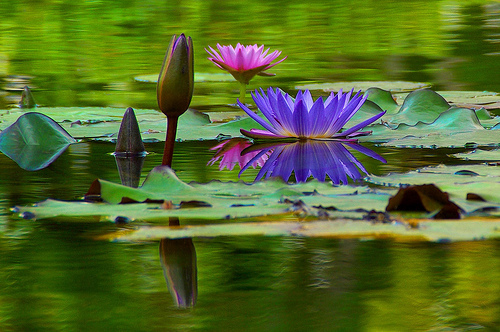 Both hardy and tropical water lily's and the lotus, can add great color and vibrancy to any pond. You will find these plants along the edges or rim of the pond. They prefer different types of conditions, from moist soil to shallow water (ranging from two to twelve inches). There are many well known plants in this category; cattails, cannas, tall grasses, and reeds, just to name a few. All of these plants play important roles in the pond environment, but you don't want to over crowd your pond with too many plants either. A beautiful pond is an act of balancing only a few things. We encourage new and seasoned pond owners, as well as those of your who are just looking, to follow us on Pinterest and Facebook for new ideas, tips, helpful advice, and inspiration. You can also check out our Houzz page, featuring recent projects and client reviews. 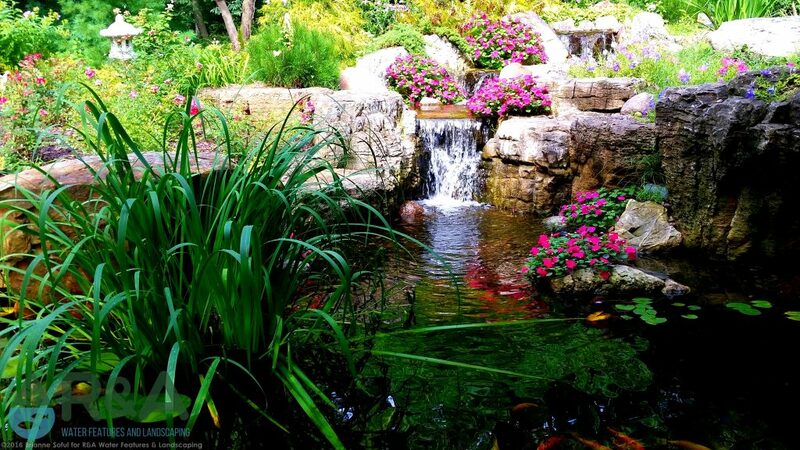 When you're ready to become a pond owner and add a water feature to your landscape, be sure to give us a call, we can help turn your outdoor living dreams into reality! Be sure Contact us today to get started on your next outdoor living project!